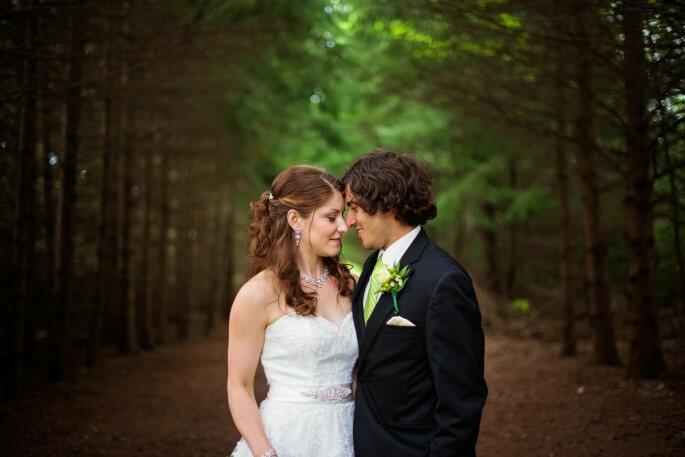 Our story begins on the bright summer morning of August 23rd, 2014, and Iulia’s sentimental reading of a love letter written to her by her husband-to-be on the definitive morning of the their lives together. From a pair of high-school sweethearts to husband-and-wife fully fledged in giving the other the entirety of their lives, it’s not at all simple to sum such a magnanimous story in a few simple sentences. Yet since long ago in their high-school hayday, Daniel had already kept a premonition that this day would eventually come, and so it did, bringing Daniel & Iulia’s story a sense of completion, of a dream which came to fruition. Through all this, our videographers and cinematographers had taken in the lovingly-decorated green ambiance of Iulia’s humble home on such a humbling of days, featured in full in the same-day-edit highlight reel. As our videographers and cinematographers would learn however, ‘green’ the colour of life, would play a vital role in the filming soon to come. 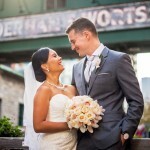 A personal and intimate event is what would typify Daniel & Iulia’s wedding ceremony, which took place at Annunciation Catholic Church, curiously just a few blocks away from both Daniel & Iulia’s old highschool and Iulia’s home. Surrounded by the couples’ closest relatives, friends and family, the anxious two were wed under a gorgeous altar adorned with stained-glass. 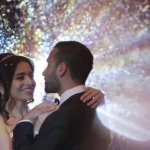 In quite possibly the happiest moment of Daniel & Iulia’s lives, an exchange of wedding rings signifying a marriage complete, the pure joyousness of the moment couldn’t help but put a smile on everyone’s faces, making for a perfect memory captured by our videographers and cinematographers. In one particular scene, which is quite possibly our videographers and cinematographers’ favorite wedding scenes in quite a while, the newlywed couples’ exit from the church was an absolutely ethereal moment caught on film. Simple words wouldn’t do it much justice, so check out the highlight reel for the once-in-a-lifetime scene. Let’s just say, it’s enough to ‘bubble up’ the most heartfelt emotions in anyone. For the post-ceremony celebration, Daniel & Iulia heeded the call of the wild outdoors, with a patio and grand-gazebo reception at Toronto’s Kortright Centre for Conservation, a densely forested setting which gave our videographers and cinematographers plenty of scenes and shots that would make many camera-savvy connoisseurs ‘green’ with envy. 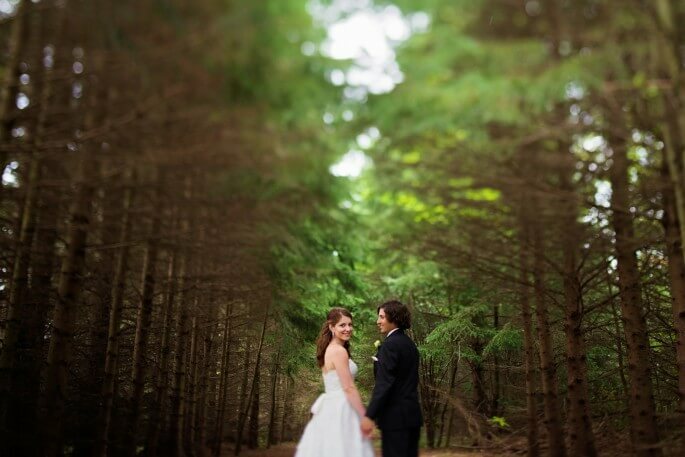 Another favourite of ours, a shot of the couple waking through the woods, crossing each other’s trails under the gorgeous greenery of forest’s bright canopy on a beautiful summer day, a piece of film which truly symbolizes Daniel & Iulia’s convergent paths in life, on the day that they that their lives ‘turned over a new leaf’. Daniel & Iulia’s reception was an absolute joy to be a part of, for our videographers and cinematographers. Having our good friend Jason Shum as the wedding photographer as well was an added plus, of whom many of the featured photos in this article are sourced from. Not to be outdone in the field of photos however, our videographers and cinematographers had their own hands on the shutter button, with our acclaimed wedding day photobooth available for Daniel & Iulia’s guests. As for our namesake same-day-edit service, our featured highlight reel is enough to speak volumes for our day with Daniel & Iulia. To close, we had decided to feature a portion of a speech given by one of the couples’ relatives, which was an altogether heartwarming toast to the beloved newlyweds on their wonderful wedding day. 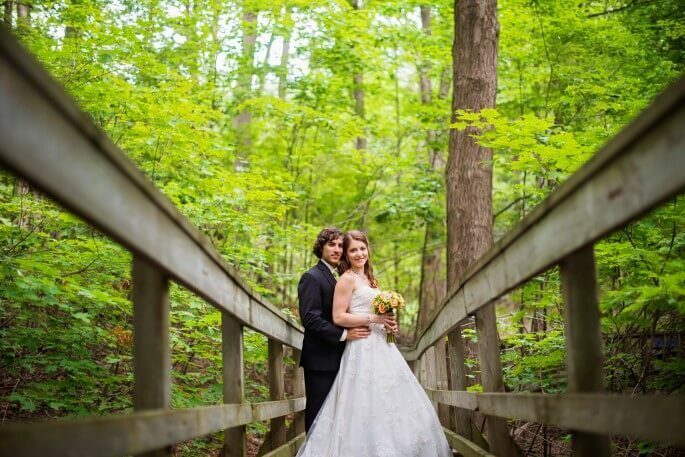 All in all, our videographers and cinematographers were very pleased in their work with Daniel & Iulia, and indeed, as a token from all of us here at SDE Weddings, Toronto’s premier wedding videography, cinematography and photobooth group, we wish Daniel & Iulia many more wonderful memories to come.